A prominent civil rights leader in Washington, who identified herself as black in an application to serve on the Citizen Police Ombudsman Commission, a volunteer position, is at the center of a city ethics probe after her estranged parents outed her as being white. She maintains, however, that she still considers herself to be black. The city of Spokane confirmed with The Christian Post on Friday that Rachel Dolezal, president of Spokane's NAACP chapter and also a part-time Africana studies professor at Eastern Washington University, allegedly misrepresented herself in an application for the position of chairwoman of the city's Office of Police Ombudsman Commission, a volunteer job she secured. "She checked four boxes on the application. She checked black/African-American, she checked white, she checked American Indian/Alaskan Native and then the fourth box was two or more races," Brian Coddington, the city's communication's director, told CP. When asked what action will be taken if Dolezal is found to be in violation of the city's code of ethics, he said: "At this point nothing's off the table, and we're in the process of gathering facts to determine exactly what the situation is and whether there have been any violations of city policy or ethics code." Baffled critics are now asking how this could have happened and Coddington explained that ultimately, it was community feedback that led to the decision to limit background checks in a bid to promote diversity when the city began the application process one year ago. "One of the things that the community [feedback] told us was that they didn't want the background process to be too onerous because they were worried that it would deter people from applying," he said. "... It's a volunteer commission so it's a little different from seeking employment from a government agency. There's probably an expectation that you would have a different level of background check." Despite the public controversy about her race, the NAACP has issued a statement in support of Dolezal. "[Dolezal] is enduring a legal issue with her family, and we respect her privacy in this matter. One's racial identity is not a qualifying criteria or disqualifying standard for NAACP leadership. The NAACP Alaska-Oregon-Washington State Conference stands behind Ms. Dolezal's advocacy record," said the organization in a statement. 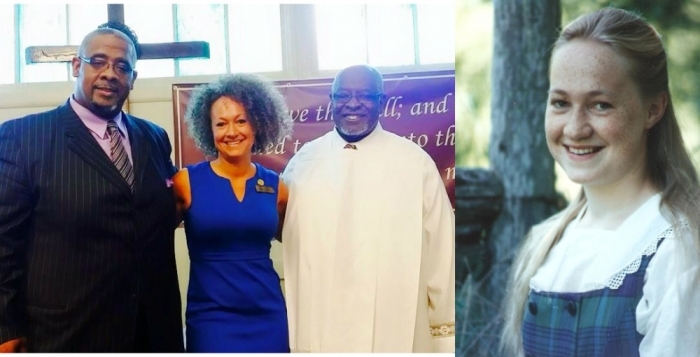 Dolezal also maintained on Thursday that she still considers herself black. She also spoke about her relationship with her biological parents, Ruthanne and Larry Dolezal. "I do not talk to Ruthanne or Larry anymore, neither does [my adopted brother] Izaiah, neither do other sibling," she told KREM2. "Yes, I do consider myself to be black." Ruthanne and Larry Dolezal, who were once Christian missionaries in South Africa, revealed recently that in addition to allegedly lying on her Ombudsman Commission application, their Howard University graduate daughter has been misrepresenting her race by portraying herself as black for nearly a decade.